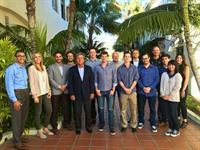 Santa Barbara based startup accelerator providing consulting and strategy to entrepreneurs. Noospheric has a proven track record of success launching startups, advising executives, and achieving key objectives in all facets of business development. Our team is made up of experts in various disciplines from entrepreneurship, investment, legal, finance, marketing.